Apparently somebody on Microsoft's marketing team failed to actually talk to the Visual Studio, Windows, and SQL Server teams and explain to them that a "simultaneous software release" meant everything would ship at the same time. 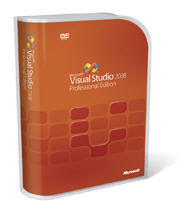 Announced today in an email I received from Microsoft, Visual Studio 2008 is now officially available in all distribution channels- volume licensing, retail, and MSDN downloads. Of course, many developers have been working with VS 2008 since November when the RTM bits were published to MSDN, so this news is for those of you that don't have access to MSDN and missed all of the VS 2008 InstallerFests (and for those of you just interested in seeing Visual Studio's new retail packaging...oooh...). But back to my original point. The big, fancy worldwide launch wave kicks-off in about a month in Los Angeles and right now it's shaping up to be more of a Windows Server 2008 launch event (assuming it doesn't get delayed again). Couldn't the "official" VS 2008 release have waited 30 more days to help the event somewhat live up to its original billing? Guess not. Enjoy retail bits! 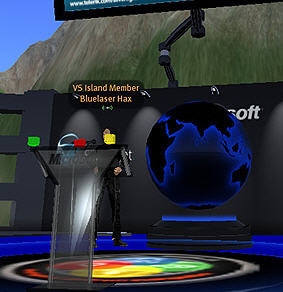 Okay, so you missed the fun Silverlight presentation in Second Life and you're wondering what your next opportunity is to hear some great .NET presentations. I've got your answer: the 2008 South Florida .NET Code Camp. Lasting all day on Saturday, February 2nd at DeVry University, the Code Camp is featuring an agenda full of great speakers and topics. There will be 12 different tracks running all day with about 6 presentations delivered in each track (that's over 70 .NET presentations in one day for those too tired to do the math)! I will be joining the speaking crew to deliver an afternoon talk in the Web Development track titled "ASP.NET AJAX, Silverlight, and the Future of Web Development." It will be a fun presentation and I'll be sure to post the slides here after the event. And as if that wasn't enough to make you register right now, Telerik is sponsoring the event After Party! What better way to help retain all that .NET learning than to relax with your fellow geeks at a Telerik sponsored party. The party details are being distributed to Code Camp attendees at the event, but if can't make the event for some reason and want to meet at the party, let me know and I'll try to help you out. So there you have it: your Saturday plans (if you're in South Florida, of course). See you there. If you missed my Silverlight presentation in Second Life this Saturday, you really missed an experience that was out of this world! Okay, bad pun. But in all seriousness, the presentation was a lot of fun and we had a great turn out from the .NET denizens of Second Life. The crew from Microsoft and the Second Life .NET User Group have done a great job building and improving the tools for presenting in Second Life, and I must admit the experience was a lot more like presenting to a "real life" audience than to a normal web cast- complete with a hand raising system to ask questions! For those of you that couldn't make it to the live show, the SLDNUG recorded the presentation "in world" and have posted the video to their website (using Telerik's Silverlight media player, no less). The presentation system is still evolving, though, and you may find the audio hard to hear on the linked video. The SLDNUG is actively working on publishing another version of the video with better audio timed to my slides, so check back for updates later this week or next. While you're at the SLDNUG site, you'll also find copies of my slides and links to download JPEG versions of my slides (if you don't have PowerPoint 2007 handy). 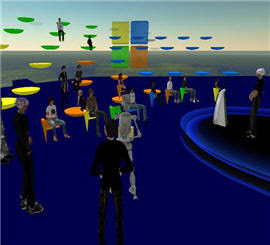 Enjoy the on-demand resources and watch for future Second Life presentations in the coming months. If you ever wondered if Second Life had any purpose, presentations like this are definitely it. 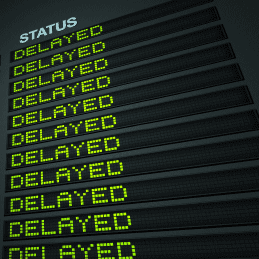 As long as we're talking about delays, it's worth mentioning that Sitefinity's next major release has been delayed. Originally planned to drop on Monday, January 28th, the Sitefinity Team announced about two weeks ago that the release will be pushed back to mid-February. Also changing are some of the planned features for the 3.2 release. Integration with Windows Workflow Foundation has been delayed to version 4.0 (due in the June time frame) and many interfaces that were supposed to be ajaxified in this version won't make the cut. Even still, there are a lot of new and exciting improvements coming in this release, including everything from a complete Newsletter Module to a robust Notification Service. So update your calendars with the new release week and watch for a beta in early February. While the release will be a few weeks late, I think you'll be very happy with the improvements you see. I didn't see this one coming. Microsoft announced today (Friday) that SQL Server 2008, originally due to ship in Q2, will now ship in Q3! Now in most cases this would hardly be news; Microsoft announces and delays products religiously. But what makes this announcement of particular interest is that SQL Server 2008 was slated to be one of the three pillars in the "biggest concurrent software release ever" kicking-off late next month. The Global Launch Wave was to feature VS 2008, SQL Server 2008, and Windows Server 2008. So let's review. Of the three big products due to "launch" next month, one shipped really early (Visual Studio), one will ship really late (SQL Server), and (presumably) Windows Server will be the only product that ships "on time" at the launch (though it has already been delayed from 2007 to 2008). Somehow it hardly seems fair to call this the biggest concurrent release of business software anymore. To be fair, Microsoft will be shipping a new release candidate of SQL Server 2008 at the big launch event, so it won't be a total no-show. The take-away: if you were planning on using SQL Server 2008 this spring/summer, your plans have changed. Normally I refrain from doing "reminder" posts, but since this event is both unique and on a Saturday and on a hot topic, I thought I'd break with tradition. So once again, tomorrow I'll be delivering a talk in Second Life on Microsoft's Visual Studio Island covering Silverlight. We'll cover everything from the roots of Silverlight to how you build a simple Silverlight application in VS 2008 to how UI components will make Silverlight development fun. There will be plenty of "pseudo demos" (Second Life doesn't accommodate live screen casts...yet), so this is a presentation you don't want to miss if you're interested in Silverlight. Besides, what better way to get out of doing your Saturday "honey-dos" than telling your significant other that you've got an important meeting to attend in a different world! Well...it may not save you from all of your chores, but at least it will break up the day. See you tomorrow at 12:00 PM Second Life Time (3:00 PM EST, 2:00 PM CST). That's right. There is another version of IE on the horizon and it promises to pack to some big changes for developers. But unlike the headaches suffered during the introduction of IE7, IE8 is introducing some radical new concepts that could forever change the way we develop for the web. But first things first. What's going to be so different in IE? For starters, it is going to pack a brand new HTML rendering engine. The engine was written from scratch with the chief goal of delivering a browser that implemented the most important CSS 2.1 standards as correctly as possible. The IE Team demonstrated the early fruit of their labor a few weeks ago by announcing that the current builds of IE8 can successfully pass the Acid2 standards test. According to the IE Team, the new browser engine is going to deliver "great styling and layout changes," but right now all we know is that it's well on its way to meeting standards already observed by browsers like Safari, Opera, and (soon) Firefox 3. All of this improvement on the standards front, though, has the potential to create chaos similar to the IE6 to IE7 transition, right? 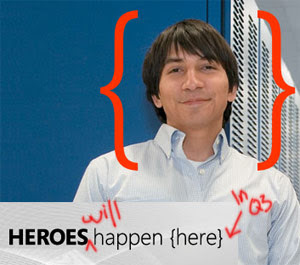 Not if the IE Team has their way. Recognizing the problems IE7 caused for many developers and wanting to find a way to safely introduce new rendering capabilities in the future, Microsoft has introduced a new mechanism that will enable developers to target specific versions of IE in the future. When this meta tag is present, the browser will render the page in the version "mode" supplied. When it's not present, in the case of IE at least, pages will continue to be rendered in IE7 mode. That means all of the pages you have today that work in IE7 should look exactly the same in IE8 by default. You must "opt-in" for the new stricter standards mode. This mechanism has been developed with other browsers in mind, so ideally all major browsers will support this version targeting in the future. If that becomes the case, there could be a future where you don't have to worry about new versions of IE or Firefox breaking your page rendering. Your sites will only render differently in new browser versions when you tell them to. While this is an interesting change in the browser space, the approach is not without its problems. Noted standards advocate Eric Meyer has a full discussion on the potential problems and advantages of this development in a blog post on A List Apart. Meanwhile, also on A List Apart, Aaron Gustafson from the Web Standards Project and member of the Microsoft Task Force addressing this issue of backwards compatibility has a post detailing the process that lead to the creation of this new meta tag. It is a great read for more background on why and how version-targeting should work. The takeaway: IE8 is on the way and it is going to be the most standards compliant IE to date...if you tell it to be. If you do nothing, IE8 shouldn't (and this has yet to be proven) render your pages any differently that IE7. Watch for more IE8 details around the time of Mix. If you've already retreated from your first life (or are considering it) to join the ranks of the growing Second Life community and are concerned you'll miss great .NET events, fear not. The Second Life .NET User Group has got you covered. That's right. There is a sizable (and growing) community of .NET developers in Second Life that meet regularly for digital socialization and to listen to great .NET speakers. The group meets every other Saturday at 12:00 PM SLT on Microsoft's Visual Studio Island (that's Second Life Time - synced with Pacific Time for the uninitiated). This coming Saturday, January 26th, I have the privilege of joining the group to deliver a talk on Silverlight. My talk will be broad, covering everything from Silverlight's roots to how to build a basic Silverlight application in VS 2008 to how you'll be able to use UI components to enhance your Silverlight development. So if you're at all interested in Silverlight, mark your calendars and set your Saturday alarms for this unique presentation. An on demand version should be available shortly after the event for those of you that can't join us in world for the live meeting. See you there! P.S. My in world identity is Bluelaser Hax. 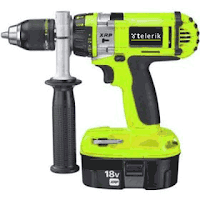 Look for the guy with the Telerik t-shirt on. This past weekend Telerik had the distinct privilege of partnering with the We Are Microsoft Charity Challenge in the Dallas/Ft. Worth area to help the .NET community give back to...well...the community. 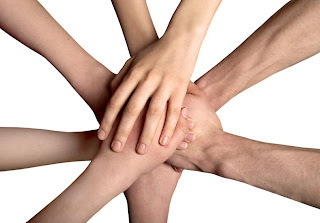 We Are Microsoft was organized by active members of the .NET community in the Dallas area with the goal of helping local charitable organizations complete "tech work" they otherwise wouldn't be able to afford. The idea grew out of a realization that few charitable outlets exist that enable geeks to really donate their time doing something they're good at doing. "Geeks are good at building software, not houses or fences," thought WAM. "Why not enable geeks to put down their hammers and pick-up their keyboards for charity?" And so WAM was born. For its part, Telerik worked closely with WAM organizer Toi Wright to make sure developers in the challenge had all of the tools they needed to deliver outstanding results at the end of the 3-day code-a-thon. Telerik donated everything from licenses for RadControls to full commercial licenses for Sitefinity to a few bucks to help feed developers working hard for a good cause. At the end of the day, great results were achieved and the Dallas community got to see the softer side of .NET programmers. And now that this event has been successful in Dallas, start watching for We Are Microsoft challenges to find their way to your local communities. In fact, if you're interested in hosting a WAM challenge in your area, contact me and I'll be happy to put you in touch with Toi and the Microsoft people that made this premiere event a huge success. Otherwise, stay tuned and I'll bring you live links to WAM projects as soon as they are available. In a small oversight in yesterday's SP1 announcements, I failed to note that the Reporting SP1 is also available for download. Reporting's first service pack has actually been available since Monday and it is equally packed-full of updates for the rapidly maturing product. It delivers about 20 fixes for various things from wizard bugs to Excel output to general report rendering. It also ships with a handful of new features, like better font support in PDF exports and enhanced documentation. All in all, a great update worth download and installing. Read the full release notes and then download your copy from your Client.net accounts. As one of the more common database alternatives for web development, I thought this audience might find it interesting to know that MySQL is being formally acquired by Sun Microsystems. In a transaction valued around $1 billion, MySQL will become a wholly owned Sun product when the deal closes later this year. As part of the deal, all of the MySQL team will transition to Sun to continue to support the product and MySQL's CEO will join Sun's executive management team. Furthermore, based on additional comments from the MySQL folks, MySQL will remain open source in Sun's care (just like Java or OpenSolaris) and continue to deliver support for non-Sun platforms. At the end of the day, it doesn't look like this acquisition will have much noticeable effect on the MySQL product or product plans. If you use MySQL as your database backend, expect business as usual for the foreseeable future. Interestingly, it seems the ASP.NET crowd does not often turn to the open source MySQL database for web solutions, favoring largely the commercial SQL Server. The Linux crowd obviously loves MySQL- it's part of the LAMP stack after all. If you are an ASP.NET developer using MySQL, let me know if the comments. I'd be very interested to meet a few people in the .NET arena who are using this massively popular database technology. New VirtualScrolling and AutoHeight features in RadCombobox "Prometheus"
You can check out the exhaustive list of updates in the product release notes (Prometheus notes here) and then visit the updated online demos to see the fixes in action. There will not be a WinForms SP1 to accompany the ASP.NET updates today, but you can expect the WinForms service pack around the beginning of February. Enjoy the first new bits of 2008 and don't go far- the big Sitefinity 3.2 release is just around the corner! The numbers say it all: adoption of Telerik's new RadControls for ASP.NET "Prometheus" suite is strong. This, according to a super scientific poll run on this blog over the last month, is a good indication that developers (in other words, you) are moving quickly to adopt the ASP.NET AJAX era Microsoft introduced in early 2007. For those living under a rock, "Prometheus" is Telerik's next generation component suite for ASP.NET built directly on ASP.NET AJAX, leveraging Microsoft's latest and greatest web framework to deliver unparalleled performance and features in the most complete ASP.NET UI component suite. These results also make it very clear that "Prometheus" is a suite that is ready for production development. More than half of survey respondents have already adopted the "Prometheus" components, and almost all other respondents plan to adopt "Prometheus" in 2008. As of Q3 2007, the RadControls for ASP.NET "Prometheus" suite has almost all major ASP.NET components that exist in the "classic" suite. 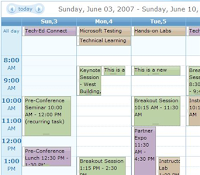 The remaining controls- RadTabstrip, RadToolbar, and RadPanelbar- will be introduced in Q1 2008. The point is this: if you're beginning a new project, the "Prometheus" controls are definitely where you should start. For the handful of people that have no plans to adopt "Prometheus", hopefully it's simply due conditions that are out of your control. We know that not all projects have the luxury of updating their UI components, so rest assured that Telerik will continue our dedication to supporting ASP.NET 2.0 developers throughout 2008. For everyone else, I hope you're enjoying (or ready to enjoy) the "Prometheus" controls. Get ready for the big celebration in Q1 when the "Prometheus" code name is retired and the complete "Prometheus" suite assumes its roll as the first-class ASP.NET suite. First of all, happy New Year! As you are well aware by now, after hanging lights on my blog before the holidays, I let it rest for a while so that I could enjoy time with friends and family. And now, as the bowl games start to dwindle and more people start to return to their desks, it's time to prepare for a new year of projects. 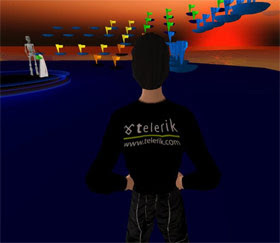 What better way to kick-off of Telerik Watch in 2008 than to gaze in to the future and look at what Telerik is cooking for upcoming year. And that's just the high-level bullet points for a few of the bigger public projects we're working on. In other words, this list just scratches the surface. Not bad considering the list includes two brand new component suites! 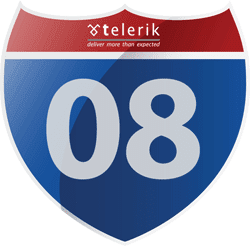 Clearly, 2008 is going to be a huge year for Telerik and your feedback will continue to play an important part in our planning and success. Everything we do aims to make your lives as developers easier, so keep the feedback coming and we'll keep driving ahead on our quest to be the best .NET UI component vendor on the market. At Telerik, we're all looking forward to starting a new year working with our dedicated community and we hope you're as excited as we are to reach new heights in 2008! Stay tuned as I get the blog fired back up this week and watch for more details about 2008 as well as some reminiscing on what we accomplished in 2007.